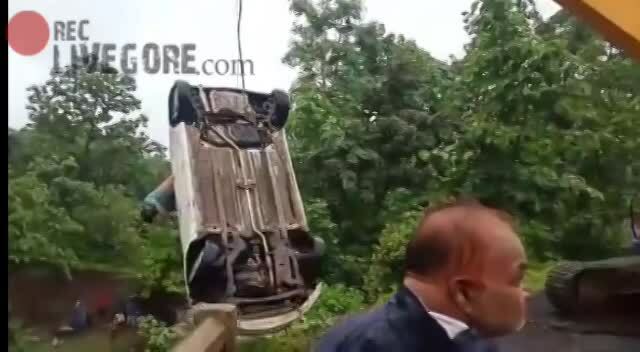 India, Six student friends got on a birthday joyride and were killed after their car plunged into a dam last Sunday evening. Their bodies were found the next morning when fish had nibbled off chunks of flesh. The 6 were speeding down a narrow bridge heading for a blind turn when the car plunged down 40 ft into the water. There are no warning signs or barricades at the blind turn. The car was found the next morning when the back of the car was sticking out of the water. They were celebrating one of their friend's 28th b'day. The six dead were all in their 20's.